News flash – the world isn’t coming to an end despite what you might think if you’re looking at the stock market lately. Although times like these never feel good we’ve been here before – in fact quite recently. As you can see the market fell sharply in February, March, October and now again in November. Even after yesterday’s drop we still haven’t reached the lows we set earlier in the year. Maybe, maybe not – no one knows for sure. What we do know is the world isn’t coming to an end. 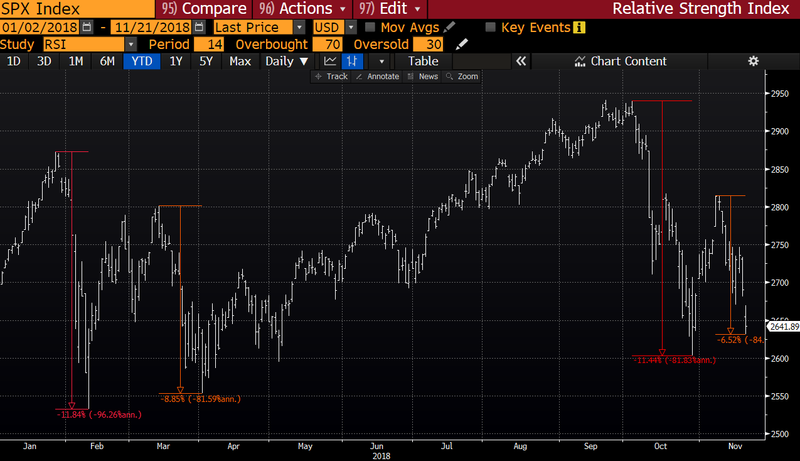 Every so often the stock market goes down – this might just be one of those years. While losing money is never fun this too shall pass.